Hotel Salona Palace offers 47 beautifully designed rooms that have a special touch from the Roman time while offering the comfort of todays modern travellers. 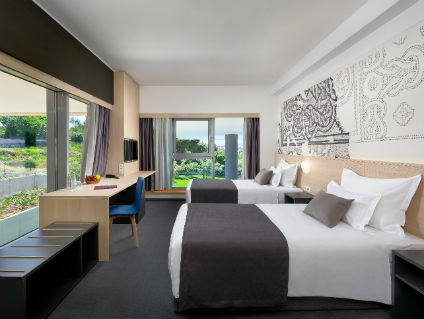 Spacious rooms, comfortable beds, beautiful landscape and excellent service are the perfect combination whether you are travelling for business or pleasure. 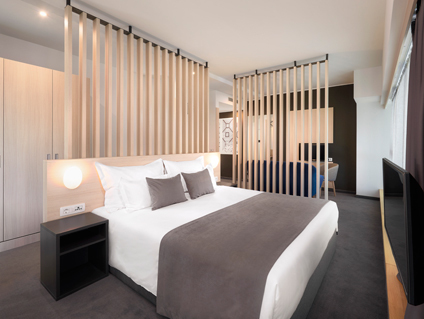 Check in after 14:00 h. Check out till 11:00 h.
Relax in our comfortable and spacious Standard rooms (24 m2). Each Standard room has a balcony. 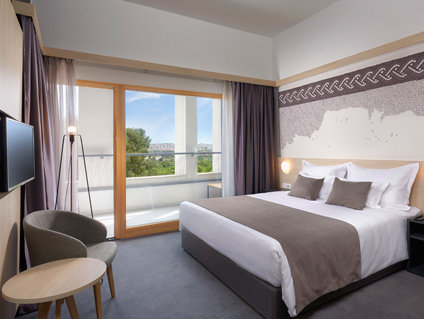 Our Superior rooms are from 27m2 and have balconies* overlooking the pool area as well as the beautiful green landscape that surrounds the hotel. Two of the Superior rooms do not have a balcony, but have floor to ceiling windows overlooking the pool area. Our Delux rooms have balconies* overlooking the pool area as well as the beautiful green landscape that surrounds the hotel. Our Luxury Caesar suite has been specially designed as you own private oasis to relax and enjoy. The spacious suite (39 m2) has floor to ceiling windows that over look the pool and large green landscaping surrounding the hotel. 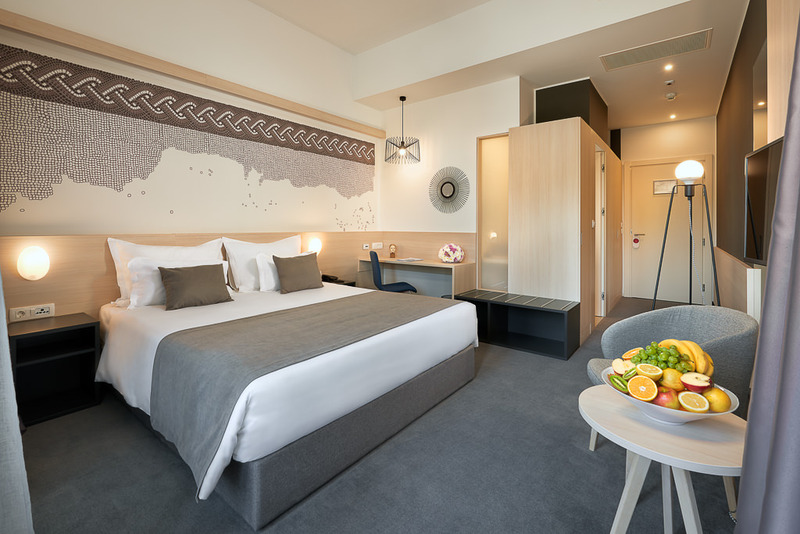 Our Junior Caesar suite is an ideal choice for guests that prefer more space and extra comfort. The spacious suite (45 m2) also has a large balcony (9 m2) that overlooks the green landscape surrounding the hotel.